Place pork in a large ceramic dish. Pour over sauce mixture and turn to coat. Cover with plastic wrap. Refrigerate for 4 to 5 hours or overnight, if time permits. Step 3 Preheat oven to 200�C. Place pork on a wire rack in a large roasting pan lined with baking �... Method. STEP 1 Preheat oven to 150C. STEP 2 Mix tomato, barbeque and Worcestershire sauces until combined. Select meaty spare ribs. Cut into servings or leave uncut. Sprinkle with salt and pepper. Place in roaster and cover with onions. Combine remaining ingredients and pour over meat. 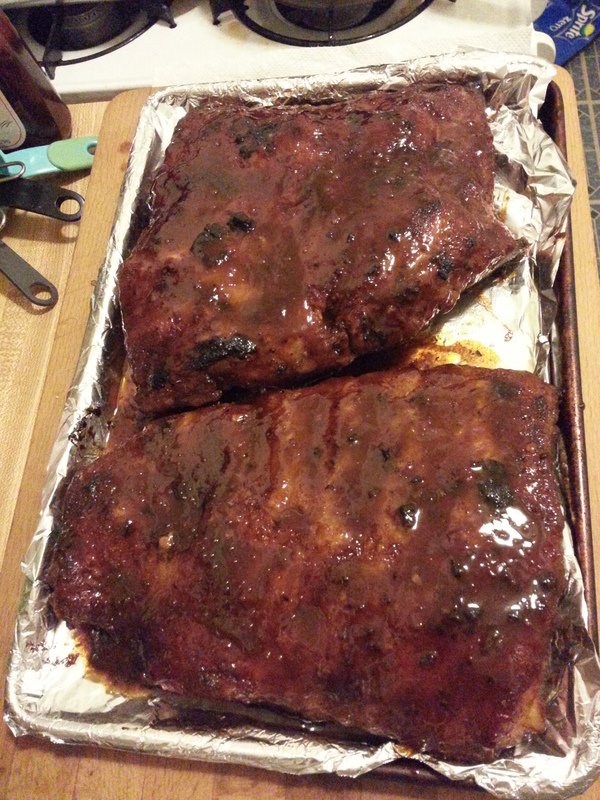 What I would do is to season the ribs, place them on a foil-lined sheet pan, brown them in a 450� oven, bone side down first and later meat side down.